THE DOG WHISPERER(TOWER GROVE PARK) Others shuffle past with streams of anxiety floating in their wake, but she presents a beatific otherworldliness. Her movements speak of peacefulness and goodwill. Like a monk. Like everyone’s mother. Her eccentricity is irrepressible, one of her most charming traits. She can tell you what your dog is thinking, for example. Closing her eyes, she makes whispery movements with her lips. She’s in council with something -- a telepathic three-way connection between herself, her Higher Being and the dog. A few minutes pass this way. Then she opens her eyes, gazes thoughtfully skyward and delivers her diagnosis: The dog is uncomfortable, awkward in a crowd of people today. The dog wants to go home, the dog feels underappreciated. 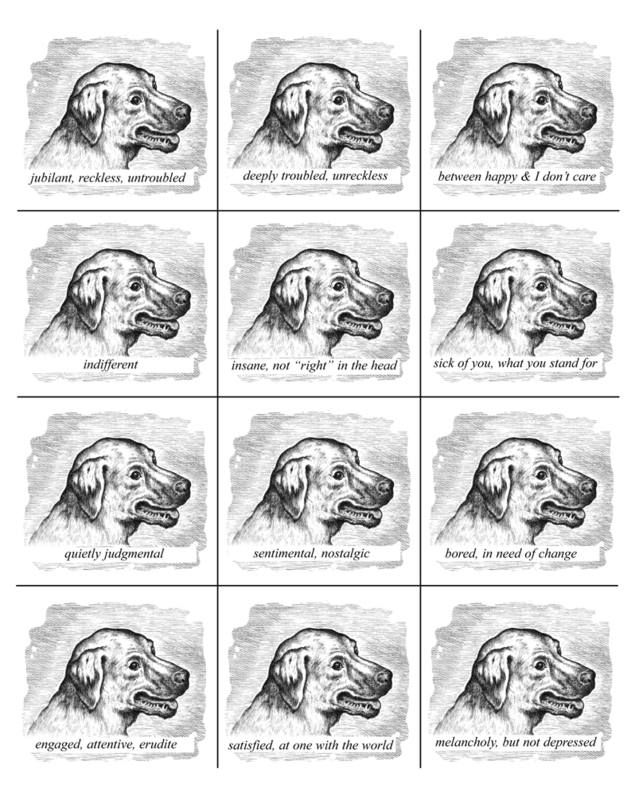 All the while the dog smiles broadly at her, attends to her every word, in complete agreement. “Listen to your dog,” she lectures. “Dogs can sense danger, and they’re very good at telling the character of a person.” They say comparing a dog’s sense of smell to a human’s is like comparing seeing in color to seeing black and white. Maybe they can smell trouble, bad character, on and on. Must be a frantic world for dogs.